Long-term readers know that we’re not really big on debt. We worked our way through undergraduate. I avoided medical school debt by signing four years of my life away with the military. We also don’t buy cars on credit or carry balances on credit cards. We pay extra on mortgages and prefer 15 year mortgages to 30 year mortgages. But technically, I have not been debt free since I was 18, almost 24 years ago, due to some debt or other. Recently that changed. Our main (okay only) debt the last few years has been our mortgage. In October 2010 we bought a house for $482,000, putting 20% down and taking out a 15 year fixed mortgage of around $386,000 at 3.375%. We refinanced a couple of times as rates dropped and eventually ended up with a 2.75% mortgage, which is mostly deductible to us leaving us with an effective mortgage rate of something like 1.6%, a little less than inflation. That very low mortgage rate, the availability of much more attractive investments (usually in tax-advantaged accounts), and significant need to take risk to reach our goals kept us from routinely throwing extra money at the mortgage. However, over the last couple of years as we have loosened the purse strings and started spending more, we have looked at that mortgage with more and more disdain. Since money is fungible, in effect, we are borrowing against our house to buy wake boats, brand new cars, fancy bicycles, trips to Belize, and heli-skiing adventures. We’re really not okay with that. So we have decided to pay off the mortgage early. At first, due to the obvious arbitrage opportunity between borrowing at 1.6% and investing in the markets we simply started a taxable investing account and called it our mortgage pay-off fund. That works out well for us as we claim any tax losses against our regular income and then use appreciated shares for our charitable contributions. Given stock market returns the last couple of years, we have come out ahead doing that. However, we have been fortunate to have seen not only our income but also our net worth climb dramatically the last couple of years. At the end of 2016, having already maxed out all of our significant tax-advantaged space, invested a sizable amount into a taxable investing account, increased our charitable giving, and blown plenty of money on fun stuff, we still had a lot of cash sitting around. So we sent it to our mortgage lender. Prior to that check, our mortgage was down in the $275K range. The check was $138K, precisely the cost of our first post-residency house and about half of what we owed. The next month was also a good one here at WCI, so we sent them another $40K check, which brought our mortgage down into the high five figure range. Theoretically, our mortgage was now paid off, since that taxable account was sitting at $152K and the mortgage was now only $97K. Well, the year came to an end and all of a sudden we had tax-advantaged space to invest in again. So now our extra earnings would start the cycle again. First the Backdoor Roths and the HSA. Then the 529s up to the state deduction limit. Then the 401(k)s and at the end of March the defined benefit/cash balance plan for 2016. Lots of tax payments are due in April (remainder of 2016 taxes, quarterly estimated for 2017, 2016 state taxes) but by May we had maxed out the 401(k)s and were left with the decision of investing in taxable or paying off the mortgage. So we sent in a check for the remainder and now we’re debt-free! Why settle for a 30 year mortgage when a lifelong mortgage would seemingly provide the same benefits? It should be an even better deal. What you haven’t mentioned is the decision to borrow money in the first place (indebtedness) is simply a decision – not a requirement. There are certainly ways to own a car, receive a high-level degree and even own a home without acquiring debt. My point is analyzing the benefits of financial arbitrage on big-ticket items entirely skips past the idea of simply buying them outright in the first place. Debt carries far more baggage than simply numbers in a spreadsheet. While technically the average mortgage length increased from 5 years to 12 years during The Great Depression and the 30 year mortgage is a product of the VA loan for returning WWII GIs, the fundamental truth remains that when you owe something to someone else, you have promised them some of your future life energy/earnings/income that could be used for something else if you didn’t owe the money. The value of your debt is remarkably stable when compared to income and assets, both of which can fluctuate greatly due to unforeseeable future events. Not to mention, how fun is it to deal with a lender? I routinely hear complaints from docs about the run around their lender gives them. Guess what? If you don’t owe money, you don’t have to deal with those guys at all. That’s worth something. One of our financial goals was to have a paid-off house. Check! It might not be your goal, but it was one of ours and we reached it much sooner than we expected. I think we can be justifiably proud of that. Our P&I payment was $2500 a month. Now we can use that for something else. In addition, this lowers our fixed expenses and thus our need to replace that income in a financial independence/early retirement scenario. $2500 a month = $30,000 a year. At a 4% withdrawal rate that lowers our necessary nest egg by $750,000. At a 3% withdrawal rate sometimes used by conservative very early retirees, that lowers our “number” by $1 Million. The average bull market is 97 months. We are now 98 months into this one. My crystal ball is cloudy as always, but it seems likely we’re closer to the end of it than the beginning. The further we go into this bull, the better a guaranteed return, even at 1.6%, becomes. If the market tanked tomorrow and I hadn’t paid off the mortgage, I would have regretted it. As we rapidly approach our financial independence “number” our need to take risk drops each year. That includes leverage risk, i.e. borrowing against the house in order to invest. As Bernstein has said, when you’ve won the game, stop playing. When we first took out the mortgage, our net worth was less than a million dollars. Borrowing that $400K instead of liquidating our investments actually had a significant effect on how quickly the investments grew. As the mortgage has fallen and our assets have grown, the ratio of investments to borrowed money has fallen so far that the leverage doesn’t have any significant effect on our investments any more. For the same reason I don’t take $5K 0% credit card offers and invest the difference like I might have a decade or two ago, I don’t need to borrow a few hundred thousand against the house to invest any more. It simply isn’t worth the risk and hassle to me. Thanks to education, hard work, smart financial decisions, and a little luck, we’re in the position where paying off our mortgage early (<7 years) is not only possible, but possible without doing anything extreme like eating ramen, reusing paper towels, or skipping retirement account contributions. We recognize that lots of people aren’t in that position, but we are, so we will. It just seems silly to be a multi-millionaire and be carrying around a five or low six figure mortgage. Now nobody can ask me “If you’re so rich how come you’re still in debt?” We can afford the luxury of not having to maximally leverage our life to reach our financial goals. I don’t necessarily have a problem with the responsible use of debt. I think it’s okay that most people pay for medical school with a reasonable amount of debt and buy a reasonable amount of house using mostly borrowed money. But as you know, there are many people who don’t use debt responsibly. We wanted to show our children that being in debt is a temporary condition, not a lifelong requirement and perhaps inspire them to also obtain a debt-free life. The kids all want to go on the Dave Ramsey show and do a debt-free scream, but I don’t think Dave is really looking for people in our situation. Besides, we still run our monthly expenses through credit cards, which Dave obviously doesn’t approve of. 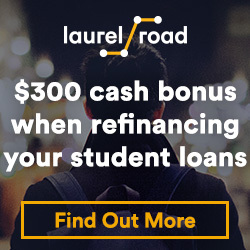 So we’ll just do that debt-free scream right here on this site! So, how does it feel? I confess I don’t have some overarching sense of accomplishment from paying it off. I feel the satisfaction of meeting a goal and of knowing my family’s lifestyle is a little more secure in case something happened to me and my income than they were before. But we were pretty financially secure before that check was written and the amount of objective additional security we have obtained is somewhat minimal when looked at logically for most anticipated futures. But I certainly don’t plan to go get another mortgage or HELOC. What do you think? Do you plan to or did you pay off your mortgage early? Why or why not? How did you feel afterward? Did you go back into debt afterward? 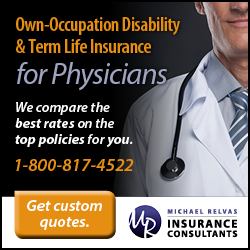 When do you think the typical doctor should pay off his mortgage? Comment below! You’ll quickly learn the joys of paying property tax and insurance directly. No big deal, but a minor administrative bother relative to monthly mortgage autopay. Seriously — I don’t mean to rain on your parade. Congratulations. Owning property debt-free is a wonderful thing. Take it from me. But as grown-ups in the real world, we have to remember the responsibilities as well. Now go celebrate with a fancy trip somewhere. I no longer have mortgage payments — I made it my goal to be debt free by forty, but I do write two checks a year each for two properties, and have my home insurance set to autopay via credit card. Congratulations to the Dahle family, and welcome to the debt-free club! It’s funny how often I read or hear someone say they are debt-free except for the mortgage, as if that last part is simply a fact of life. I’m a little bit of a financial newbie… could you elaborate on what the first part of your post means literally and what drawbacks there are to paying for those through your mortgage, which seems like it may be the standard way most people pay? Most mortgage payments are PITI- principal, interest, taxes, insurance. The bank wants to be sure they get paid off if the house burns down or if you would like to welch on your taxes so they pay these themselves (hopefully) by getting about 1/12th of what they expect the taxes and insurance to be from you every month with your mortgage PI payment. This TI part is put in an escrow account and then that is used annually to pay the T and I. As many have experienced sometimes the mortgage company messes this up, or sees a sudden rise in T or I and then doubles your escrow charge/ fee. POF told the bank he’ll do those himself, which as he notes some mortgage holders would not permit. Whether you escrow your property taxes and insurance with your mortgage lender is a point of negotiation. MOST lenders say that is a requirement BUT … when you stand up and start to leave, it becomes very negotiable very quickly. If I have equity over about 25%, there is no way that I am going to escrow as generally, the lenders get to hold your money for months. I don’t know that it’s worth a big stink though. I mean, my property taxes are $3600 a year and the insurance is far less. So on average, maybe they’re getting to hold $2K for me. At 1%, that’s $20 a year. I’ve walked away from mortgage lenders, but not over $20. I never paid attention to the homeowners insurance premium until I paid it lump sum yearly. It was way too high so I changed companies and cut the bill in half. Not having an escrow is a bigger deal if you live in an area with higher property taxes. I pay $9000 per year, and my house is worth much less than $400K. I’d much rather have $9000 in my account earning interest for me! if you are into Travel Hacking, paying my property taxes with a credit card means 4-6 round trip airfares per year! Of course, WCI’s income and net worth is much higher, so he doesn’t have to worry about such small sums now! Still, let’s say you average $4500 a year in that account (it’s zero at the beginning of the year and $9000 at the end.) So again, $45 a year in a 1% high-yield savings account. I’m not convinced that you need to worry about such small sums either! $9000 sounds like a lot of money, but $45? Not so much. Better than a kick in the teeth? Yea, but it’s also less than a tank of gas for my guzzler. True, $45 is not a lot, but better in my pocket than theirs! And it’s almost no work once you set it up. If you saw a $50 bill on the sidewalk, you’d bend down to pick it up, right? Besides, I *hate* banks and how they nickel-and-dime me with fees and charges. So this is my chance to get them back. The major advantage is for travel hacking. $9000 in taxes and $1000 in insurance means meeting the minimum spending for sign up bonuses for 3 cards. This can mean as much as $2000 in travel (even after paying 2.1% fee to pay the tax with a credit card). You would agree that the equivalent of a mortgage payment or two is nothing to laugh at. My local property tax agent (Orange County) charges a ~2% fee to pay with a credit card, thus negating most of the benefit from the travel points. The sign up bonuses are where you get the big number of miles/ points. For example, I just got a Citibank card which gives me 60,000 American Airlines miles for spending $3000 in the first 3 months. That’s equal to 2 domestic RT tickets worth $500-600. So I’m getting up to 20% “cash back” in travel. So it’s worthwhile to pay the 2.1% fees which my county charges. My $9000 property tax bill means 6 RT tickets per year. see Millionmilesecrets.com if you’re interested. Every mortgage I had I waived out of escrow not for the time value of money aspect but due to the horror stories I read when it got messed up. I am sure the banks do it properly 99% of the time but who needs the aggravation if you are in the unlucky group. If your equity is high enough it usually didn’t require the 1/8 point premium that is often quoted. I am paid off now. My only liabilities are the current month’s credit card activities and the future taxes on my tax deferred accounts (30%), deferred comp (40%) or appreciated shares (20%). I track my AA and net worth on an after tax basis. I don’t think a “my only liabilities are deferred taxes” scream is very catchy. jlawrence, no need to stand up and walk out over an escrow account. We qualified for a lower interest rate (2.6%) by having the escrow account. Then, thanks to a post on WCI, I found out I could just call up Wells Fargo and have it removed. A few months after having the mortgage, I called and had the escrow removed, no drama. I have had mortgages with and without an escrow account. The additional interest ($20-$50) per year I forgo is more than worth having to track and update how much money to set aside to pay my property tax bill. Also, I happen to receive one my two bonuses every year in April, and it’s emotionally draining to use it to pay property taxes. I know it’s the same impact as setting aside the money each month throughout the year and spending the bonus, but most people at my company just use their April bonus. Japan fancy enough? That’s our next one. There are no moderators, just me. This isn’t the forum, it’s the blog, and I generally either have those screened out automatically or delete them manually. This one made it past the automatic filters, but it’s only been a few minutes. Give me a little time to delete it manually. I know there are a lot of people who argue otherwise in comments on blogs, but I think you did the right thing. Being completely debt free and never paying interest is financially and emotionally freeing. Enjoy that feeling. Well deserved and well done! Congratulations, WCI! Enjoyed the YouTube video as well. Awesome – congrats. We paid off our mortgage three years ago and don’t have a single regret about it. We love being 100% debt-free too! I paid of my mortgage in 2010. I know the math favors otherwise but the mindset of having no debt is liberating. My rationale was a combination of increasing cash flow and the idea that anytime we bought something else (a car, vacation, or even a dinner out), we were essentially financing it (“money is fungible”). No scream, no party, but I did get kudos from a partner with a very large mortgage. Great feeling. I paid my house off about your age also. I love being debt free. I agree with poster Ben Kurtz above in that you will notice your property tax and homeowners insurance more when paid individually. One less liability is always good. Congrats. Best thing we ever did was to pay off our 12 year mortgage in 6 years right in the middle of the global financial crisis and putting the monthly mortgage payment to a taxable vanguard S&P500 fund. That has given us nice returns as the bull market keeps going. Also the idea that no matter what, you have a place to live is a nice feeling. I paid off my practice loan and it was like getting a nice raise. Did you have to buy into your partnership? Was it self-financed or thru a bank? Is that paid off too? My partnership track was two years of sweat equity. 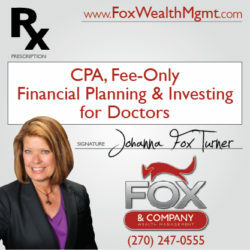 The main value of our partnership is we get to work for a higher rate and we get to control our practice. All you’re really buying into is your share of the accounts receivable, so the buy-out isn’t all that large. I bet there are a ton of Mormon ER docs that would give anything to make it back to “Happy Valley” – that’s worth something! It’s a bizarre and overly complex formula that predates me by years. But ER is very different from orthodontics. We paid ours off in the year after husband retired from the military 5 years ago. We’re older than Jim (and FP not EM! and not THE WCI.) so probably a decade later in life than for him. Our family financial advisor wanted us to max out (or anyway not pay off) and invest that money but it’s hard to believe your little brother is always right, and while I’m not financially savvy enough to be certain it had seemed like sometimes I did better ignoring him than listening to him. He’s also more of a risk taker than we are. Our income was always variable given that I worked intermittently not every year of my life but with H no longer working it was clear that it would be better if the mortgage were out of the monthly budget before I next took a break or retired from full time work. It also seemed clear with low interest rates that a sure 3% or so after the tax break on mortgage interest, but not even 1% after taxes on CDs etc and the market never as sure to me as a mortgage, would be a better pay off in peace of mind and aggravation. Of course we are very careful about insurance (USAA makes it easy) and taxes, but the mortgage company had already messed up the taxes (they let us pay the neighbor’s tax bill for them once- thank goodness I noticed the doubled amount, when they raised my escrow charges) so no EXTRA work monitoring them. We just recently replaced a car and toyed with getting the 0% financing, but decided the paperwork (and for H newly concerned about his privacy, giving up our SSNs to the car dealer) just wasn’t worth the hassle. When I retired it was nice we didn’t have to cover the mortgage payment which was almost 1/2 his pension (I don’t have a pension). Our only devil’s advocate concern was that we’d no longer be able to default on the mortgage in some upside down housing market can’t sell and even get the mortgage balance scenario, but as we’d’ve almost paid off the mortgage anyway with a few more years this wasn’t even a true possibility unless we maxed out a home equity loan. I’d always heard of mortgage burning parties, not so much the scream, but feared we might yet need that document in some erroneous bank claim that we still somehow owe them something, so the mortgages all sit in the filing cabinet. What do we need to do to get a WCI coffee mug?!? That looked brilliant. You like that unashamed commercial plug eh? Whitney made me do it. The mug and T-shirt are all her idea and her little niche in the business. Maybe she’ll actually get around to finalizing them so they can be bought. You’re looking at samples she ordered as gifts for me. Huge congratulations! We are aiming for the same goal in our family, and also recently shifted some funds out of stock index funds to short term bond funds, planning to use these dollars for mortgage repayment when we can clear the entire debt. We think that will be before the end of 2020, so I’ll be 41, but I’d love to get it done for my 40th birthday. All the best to you and your family and again congrats on this milestone. We are in the long BULL MKT-DO NOT BE TOO GREEDY! The only Vanguard bond funds yielding over 4% are the Long-Term Corporate Fund and the Junk Bond Fund. Fairly risky as bonds go. Maybe soon you’ll be able to get 5% without taking much risk. With the markets up 17% since Trump’s election it is tough to not justify some market timing for paying off your mortgage. You know precisely that you invested and withdrew at a good enough time to beat that 1.6% effective interest rates. Is it the perfect time to withdraw? You will not know that until later, but it is at a minimum a good time to withdraw. Although the truth is that although money is fungible, we didn’t actually withdraw to pay it off. We used new earnings. Nice work man! Debt to me is like being a slave and getting rid of all of it must feel amazing. I remember growing up and thinking debt was just part of life. How can someone ever get rid of all of their debt? Impossible considering when people take out huge mortgages to buy their homes. Now I am one of those people with the mortgages. Must feel great to be free and clear. Enjoy it and it will be interesting how quickly the net worth sky rockets from here. Congrats WCI! Becoming debt free is a worthy goal (one I am currently chasing). Now, go out and celebrate! Congrats!! I have recently gone through the same calculus – had the funds on-hand to pay it off – but waited until other pieces of the life puzzle fell into place. A big piece was the one you mentioned – we are deep into a bull market. I asked myself how I would feel if i was making a mistake………if you pay it off now, and the market continues to roar, how bad will you feel?….. vs…….The market has dropped significantly, and now you must sell investments that are down (from today’s levels) to pay off the mortgage, how does that feel? If I made mistake #1, I’ll still feel good about my other investments, have accomplished the arbitrage goal, all while knowing I really cannot time markets. Mistake #2 would generate a lot more worry and stress, and I would be mad that I ignored the aging of the bull market. Pretty easy – go with the less stress error. What does the age of the bull market have to do with making your monthly mortgage payments? This should be irrelevant to the pros/cons unless your income is directly tied to said market and you can guarantee it goes down at that time. Maybe that is true for yourself, who knows. Its still a very poor rationale, as is every one that discusses “feelings”. I’m very curious to see whether your attitude towards debt changes as you become a multi-millionaire. I’m certainly not an extremist on the topic, as I obviously chose NOT to pay off the mortgage when I could for at least a couple of years and have borrowed/not paid off debt in order to invest in the past a few times. But as I’ve become wealthier, well, the marginal utility of extra wealth seemed to go down and the ability to eliminate a risk and a payment from my life, as minor as they may be, seemed more and more important. In some ways it is a bit of a luxury good- I can afford not to have to maximally leverage my life and still reach my financial goals. As Ramsey says, “….a paid-off mortgage, not a BMW, is the status symbol of choice.” Certainly in the FIRE community a paid-off mortgage (and bragging about it like I just did) IS a status symbol. Of course, there are a few that see you as a “rube” for doing so, but I can live with that. Couldn’t agree more WCI. The mortgage payoff was the gem on the crown of our FI once we had a high net worth. Quite simply, we just didn’t like having it around anymore. Seriously, the part of this I find fascinating is that WCI had the funds to pay off the mortgage, yet allowed it to run. I am a reader who also had the same set-up (with some other unique considerations) and have gone through a similar logical thought process, and personal reactions to various potential outcomes. Not poor rationale at all. Has nothing to do with an attitude toward debt, but rather not using poor justifications and arguments as a reason why you did so. Your (wci) real reasons were more marginal utility and the cash flow being large enough month to month that it simply didnt matter. One less thing to check off during the ever more complex budget meetings. Makes sense. The reason a couple of other things are on this list is likely human desire for a nice round number and 10 is good for a list. You dont want your debt, fine. Just dont add that its because in the next bear market you wont be able to pay your mortgage. That makes little sense and you should just sell and rent if true. As do several of the other arguments. Expanded in forum since the comments are so difficult to follow. I think you’re missing the point that it is a better move to liquidate stocks and pay off the mortgage in 2017 than in early 2009. Are you arguing against that point or just saying that since long-term expected returns of stocks are higher than mortgage rates that you should always invest in stocks instead of paying off the mortgage? Obviously some reasons are stronger than others with anything. Arguing you should never allow oneself to be in a position where that is ever a concern. Obviously valuation wise the trade off is better. However if you’re in such a position something has gone wrong. I would do everything possible before paying for a depreciating or at best inflation matching asset like a house with something like my retirement fund. Including selling, renting, or foreclosing. Money is fungible. If it makes sense to leverage your house, you should take out an interest-only loan on it, take out a loan on your car, borrow as much as you can on credit card interest deals, do margin loans on your taxable account etc. Just don’t let it all blow up on you. Idk how that line of reasoning correlates to “never let yourself get into that position”. The point was not to be over extending yourself to where such a trade off is required to be considered. There is an ultimate level of debt that is destructive, and a short term amount tied to market forces that puts one at risk of losing everything. All of those such things are to be avoided. A house is a depreciating asset? Really? The building depreciates, but the land appreciates. We’d notice the depreciation of the building more if we didn’t upgrade/update it so often! When our student loans are paid off we will use that $13k/mo in our budget towards the mortgage and very quickly pay it off. Though the math may argue against it, I am looking forward to significantly decreasing our mandatory monthly expenditures. Congrats on paying off the mortgage and becoming debt free, although paying off a few hundred $k of debt when one has several $M of net worth isn’t quite the same as doing it when you have zero to negative net worth. (iii) those who understand the power of leverage and use it appropriately to enhance their returns. There really is no rational reason to pay off a mortgage when your investments are properly diversified, and your net worth is 10x+ and your income is 2x+ mortgage balance. This is especially true if you are fully invested with an aggressive stock/bond allocation except for a small emergency fund, which indicates you are not particularly risk averse. Regarding the comment about mortgages not existing 60 years ago, neither did low cost brokerages and low cost ETFs. Evolution of financial products isn’t necessarily bad. Proliferation of mortgages has generally been a good thing in my view (2009 aside). This is another view of leverage that has years of experience intertwined. “When leverage works, it magnifies your gains. Your spouse thinks you’re clever, and your neighbors get envious. But leverage is addictive. Once having profited from its wonders, very few people retreat to more conservative practices. And as we all learned in third grade — and some relearned in 2008 — any series of positive numbers, however impressive the numbers may be, evaporates when multiplied by a single zero. History tells us that leverage all too often produces zeroes, even when it is employed by very smart people.” Warren Buffett in his 2010 shareholder letter. Cash is cash. 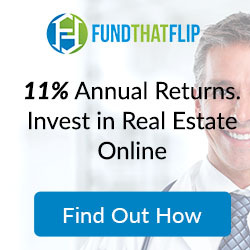 Juicing your returns on $100k by a few hundred basis points is real money, more than you make with TLH. The only argument that makes sense to me is that your risk appetite is declining as you advance in age and net worth, which makes sense. Three hundred basis points (i.e. a few hundred) on $100k is $3k. When you’re a multi-millionaire, that doesn’t qualify as “real money.” At that point, the non-financial reasons for paying off the mortgage rightly take over. I’m a millionaire and $3k is real money. Disregarding $3k decisions as unimportant is a much faster way to financial ruin than carrying a modest amount of debt. I still remember that when I decided to pay off my mortgage in 2006, my “financial advisor” was critical and told me that I should have invested that money in mutual funds. Then came 2007 and the subsequent financial crisis. I was so glad that I did it! Just looking at the math, You would have earned an 8% annual return if you had reinvested dividends in the S&P 500 since July 2006. Your investment would be up 141% since then. But that was after the fact. Nobody knows if the financial crisis would last for 2 years or 2 decades! Right, but it seemed you were using the downturn after you paid off your mortgage as evidence that your FA was wrong. In fact the FA was right both in principal and in actual experience. My ex-wife and I paid off our initial mortgage some time ago (in our 20s, actually). That was the benefit of building a house that was well within our means; like you, we didn’t find it to be some momentous occasion. In our case we had $100K sitting in the bank and didn’t, at the time, feel like the market was a great place to put it so we decided to pay off the house. Many years later we took out a new mortgage to buy some vacation property, and then paid off that one as well. A few years back we started building our “dream house”, paying in cash. Post-divorce I ended up with that house, paid off, along with a lot of investments with unrealized capital gains, but without very much cash. I took out a new mortgage at about 30% LTV because it restored my hefty cash cushion (which I value, especially now). The mortgage is well within my ability to pay, though of course I’d rather not have it. I guess what I found interesting is that, after the original mortgage was paid off it became easy to view a mortgage as just another financial tool. If I need/want cash and don’t want to pay capital gains tax on my investments, a mortgage is a fine way to achieve that. I’d feel uneasy if the mortgage were large relative to my net worth, but with a mortgage of less than 10% of my NW I feel perfectly safe and comfortable servicing the loan. I’ll probably pay it off again in a few years, and unless life throws another curveball hopefully that’ll be the last one I have. Thank you so much for you website and congratulations on getting out of debt! Your kids are adorable and obviously miles ahead of their peers in financial knowledge. Also, enjoyed your oldest’s posts, inspiring for me and my own 2 kids. Keep them coming! Many people talk about how “rational” it is to have leverage. Many are comfortable with not paying off their 30 year mortgage early, yet I don’t know any personal investor (ie not institutions) who brag about taking out a *new* home equity loan to buy mutual funds. Congrats on your emancipation! I agree with all of your reasons and we sent in the largest check I have or probably will ever write to our mortgage company earlier this year. Why? Well you said it. I’m fortunate enough to have a high income specialty and use geographic arbitrage in my young accumulation years. Our mortgage deduction was big time phased out. Thank you Representative Pease…. Also, to us, investing is not only about the end sum of money at retirement or whatever endpoint. It’s more nuanced and personal. Psychologically speaking, we are much happier with no debt than making a (theoretical) gain by arbitraging the interest rate and market returns. I don’t like spending money, but that large 6 figure check we wrote earlier this year was awesome.